In preparation for our church’s Christmas carnival I was looking for a book to give families that was clear on the gospel as it told the Christmas story and couldn’t find anything that fit my needs, so I decided to write one for our families. And, thought that while I was sharing I might as well share with others. 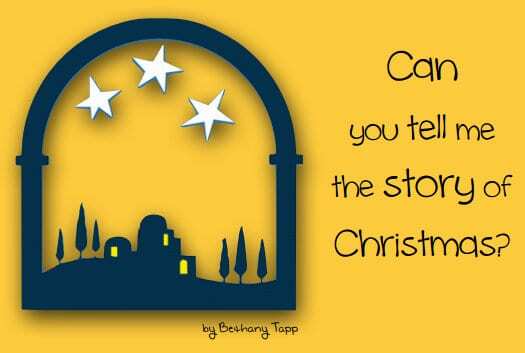 The book is called “Can you tell me the story of Christmas?” and goes on the assumption that everyone (even those outside the church) think they know the story of Christmas. But, it encourages the reader to see that Christmas neither started or finished with baby Jesus in the manger. My goal with this book is that (1) non Christian families will be exposed to the truth of the gospel and (2) Christian families will begin to see Christmas as a celebration of the fulness of the gospel. It’s formatted to be printed with a booklet setting on 8.5 x 11 paper and then cut in half to form 2 mini books. I chose this setting because on our printer this enables the machine to do all the hard word (folding and stapling). Tony Kummer (Editor) reviewed & updated this page on : December 11, 2013 at 12:54 pm. All our content is peer reviewed by our readers, simply leave a comment on any post suggest an update.